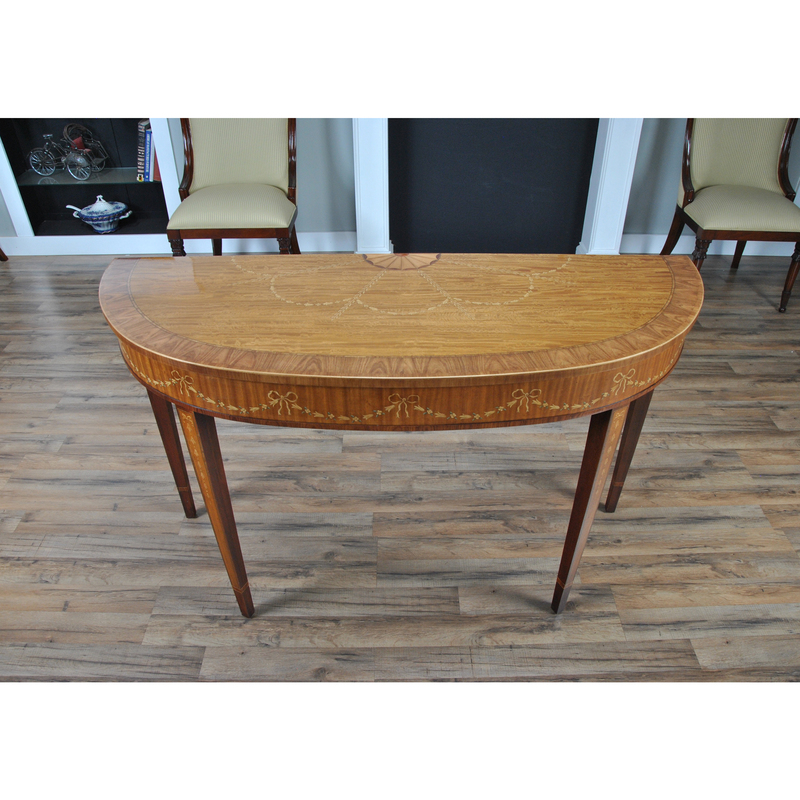 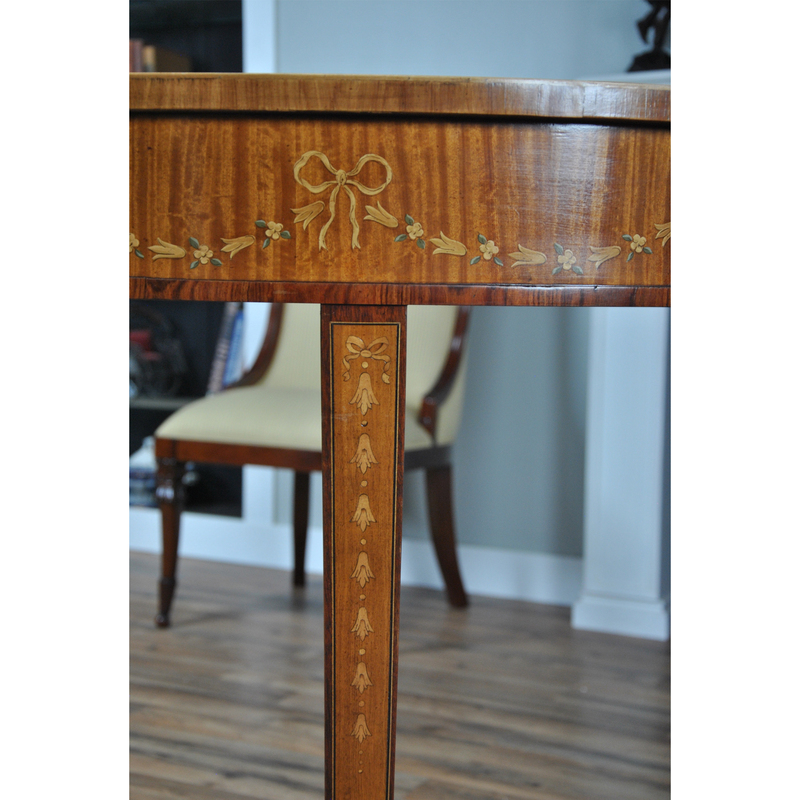 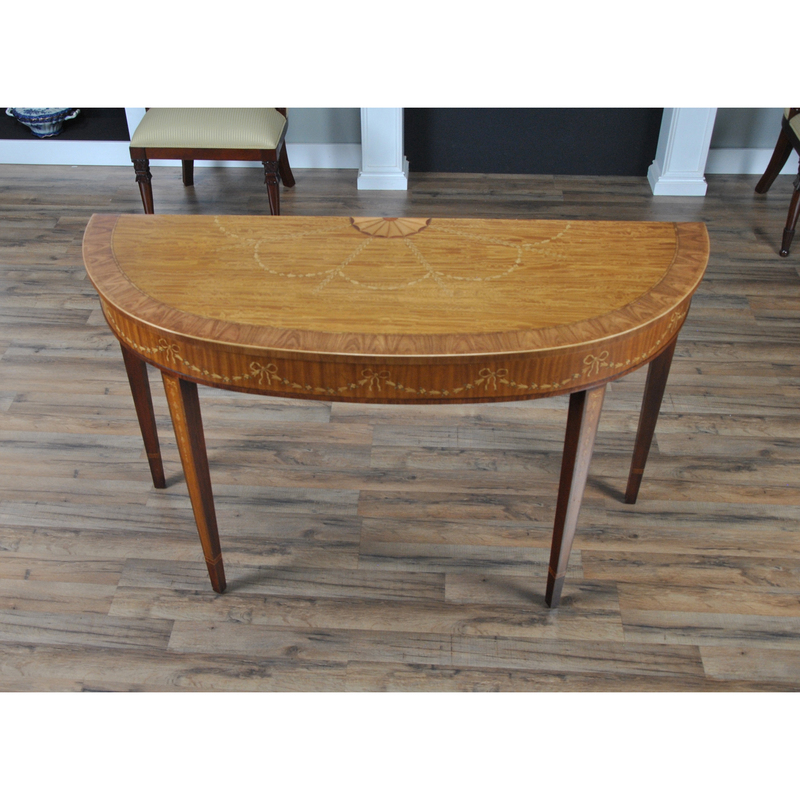 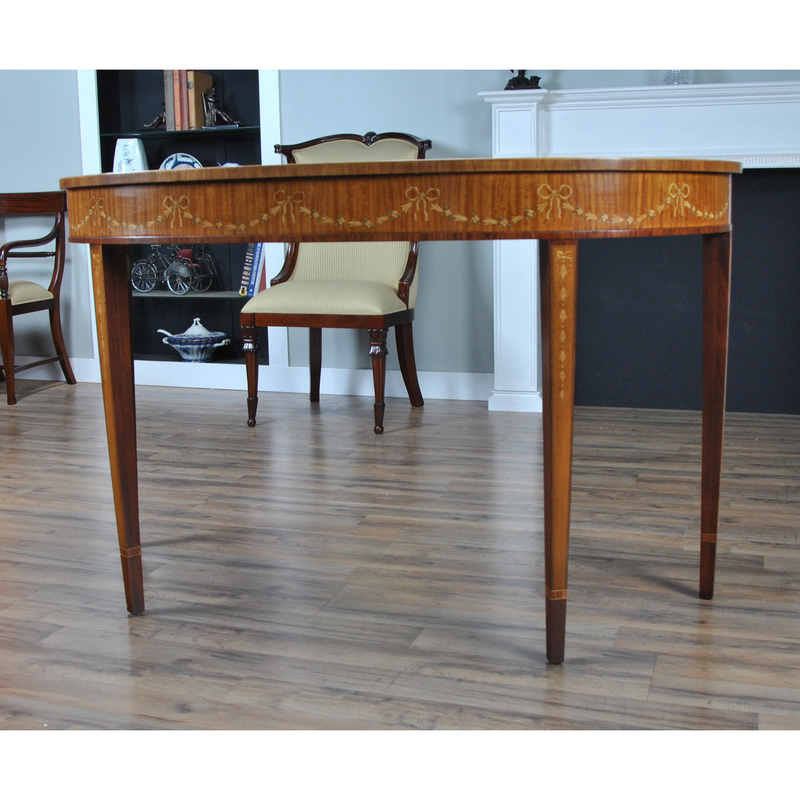 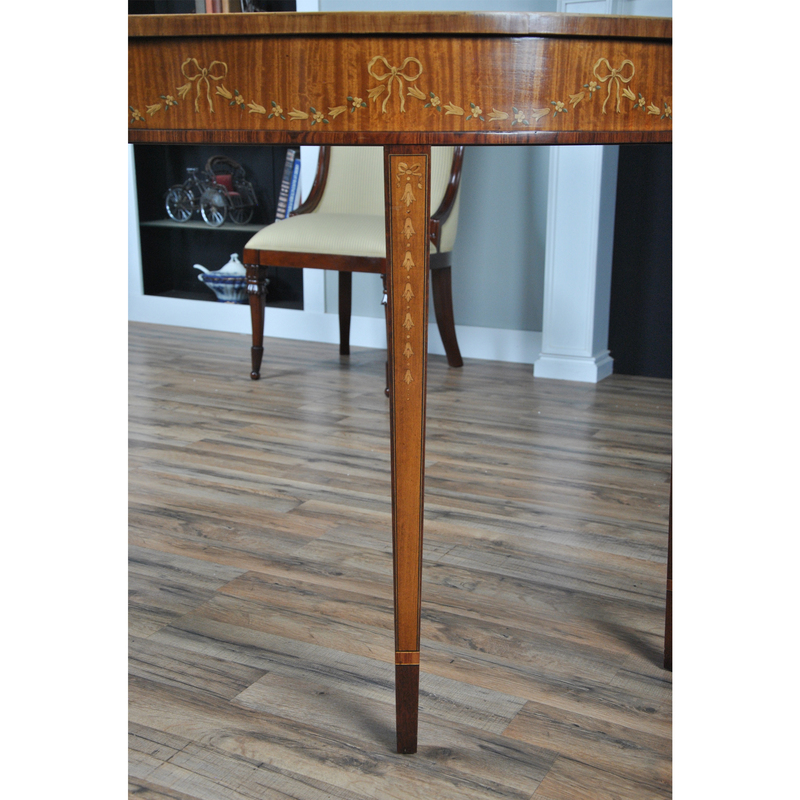 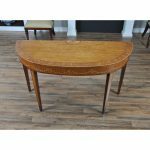 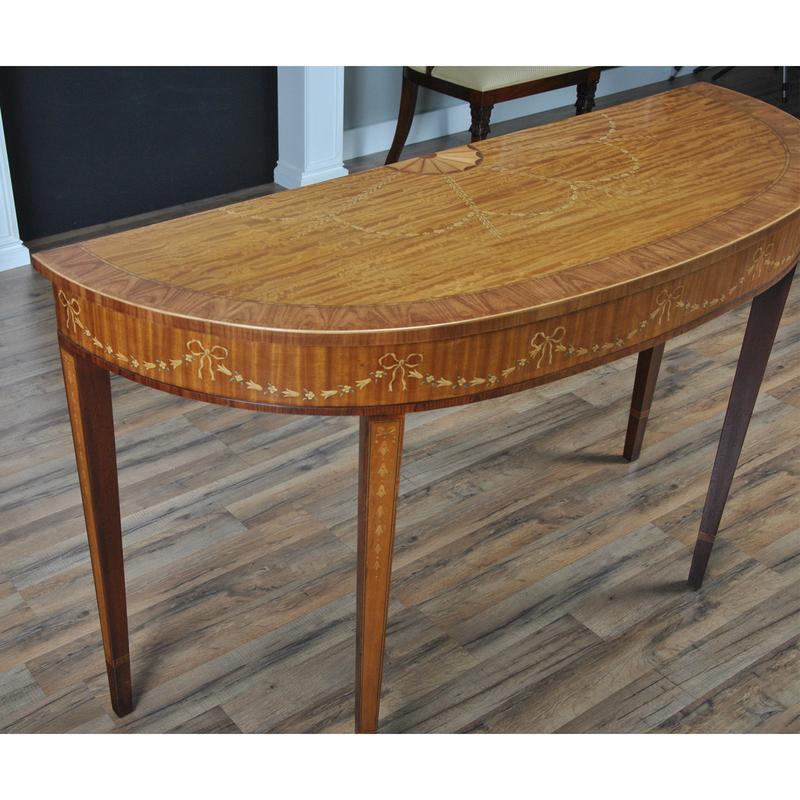 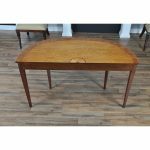 From Niagara Furniture a vintage Heritage Decorated Console Table in excellent original, as found, condition. 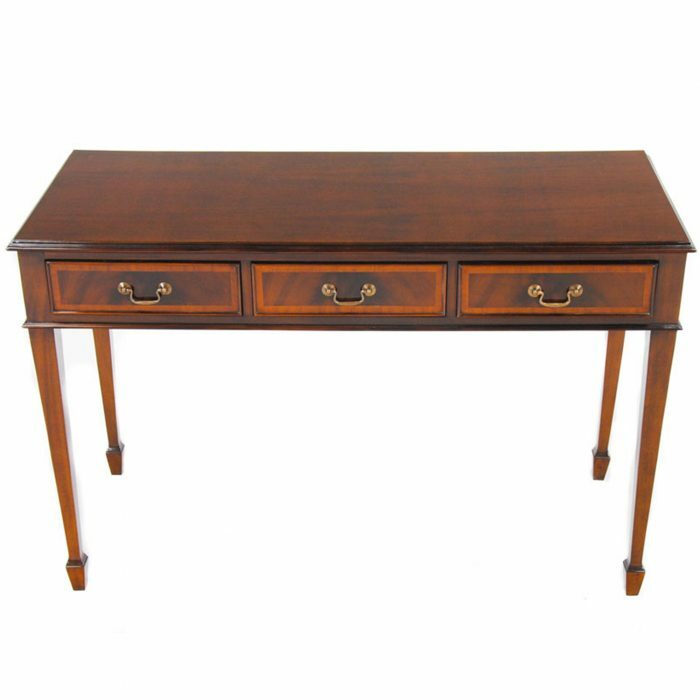 This console table is both a great size and shape. 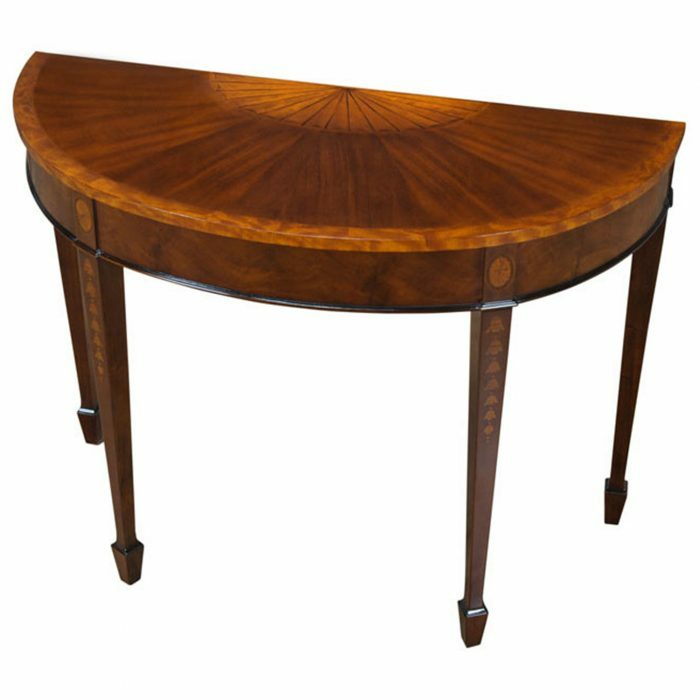 At 59 inches wide, 21 inches deep and 34 inches high this beautifully shaped demi lune console is bound to become the center point of any room in which it is placed. 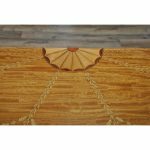 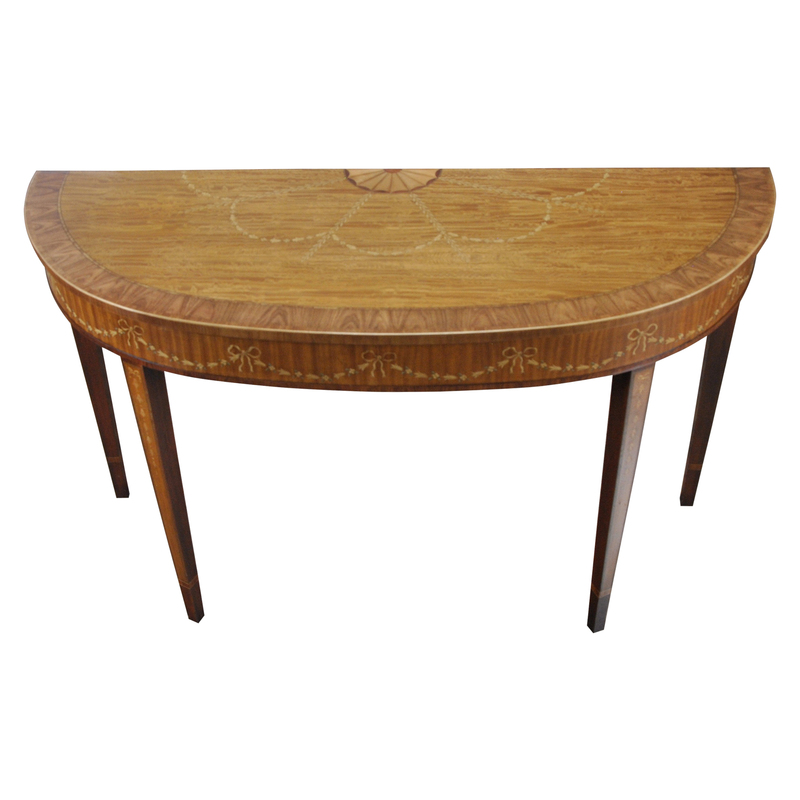 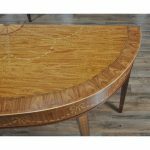 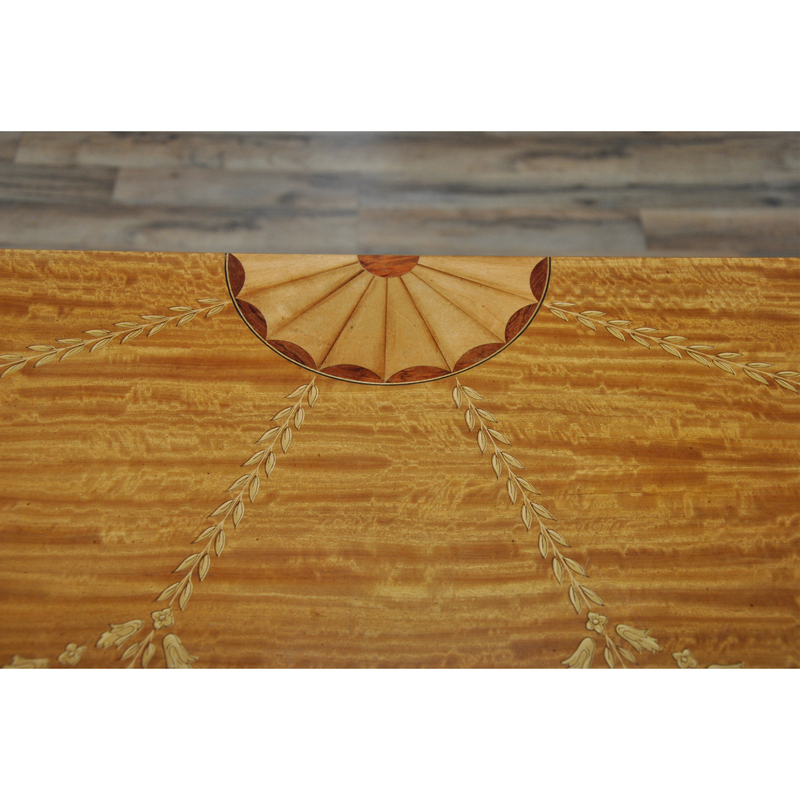 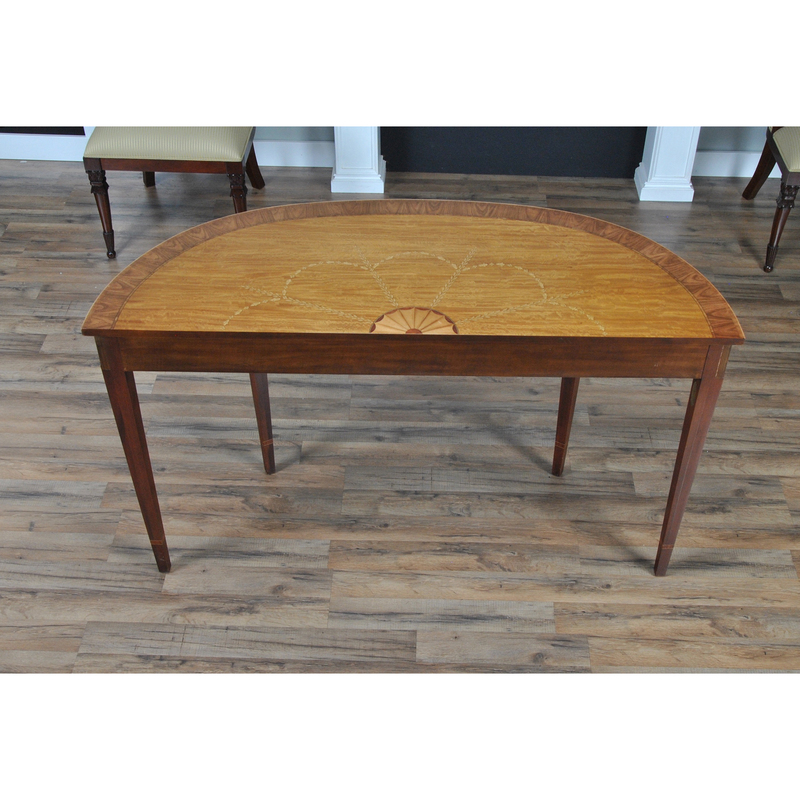 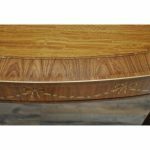 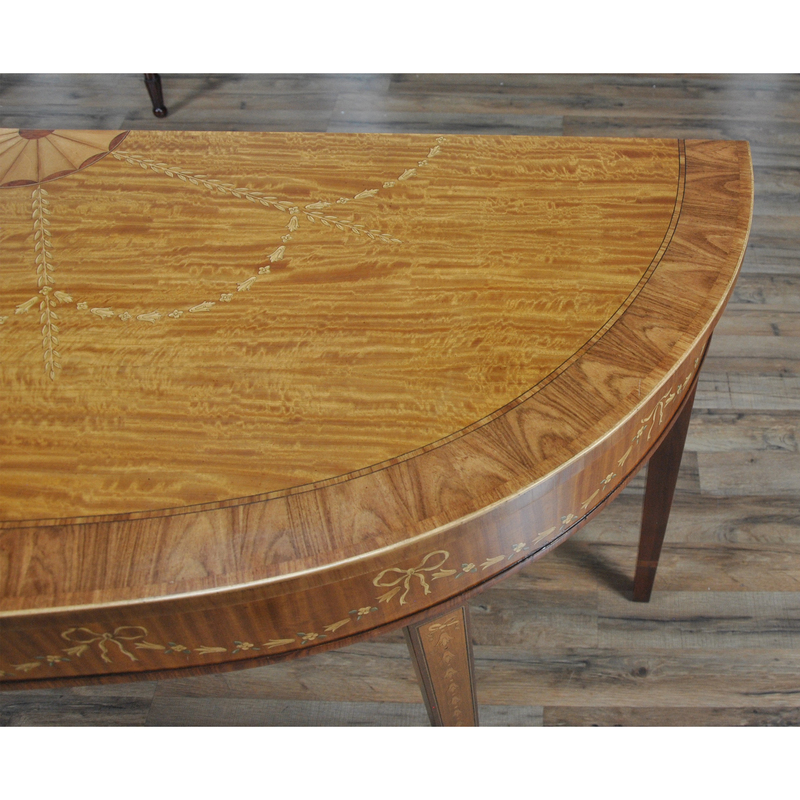 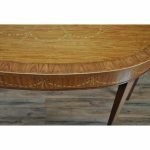 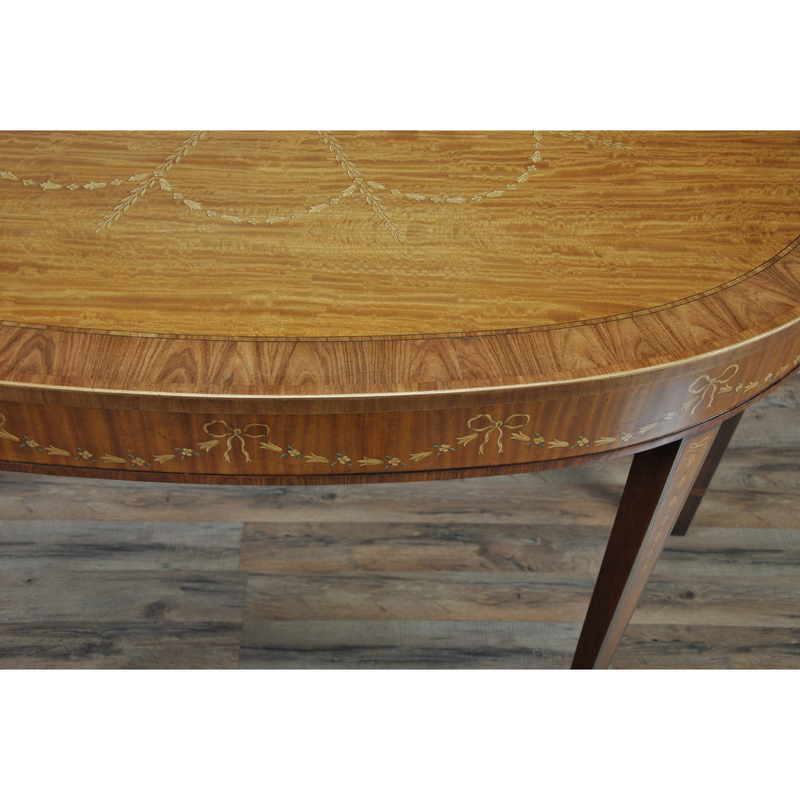 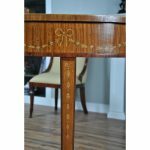 The table top features the finest quality inlaid veneers arranged into a sunburst design in the center and that is surrounded by wonderfully crafted hand painted drapes. 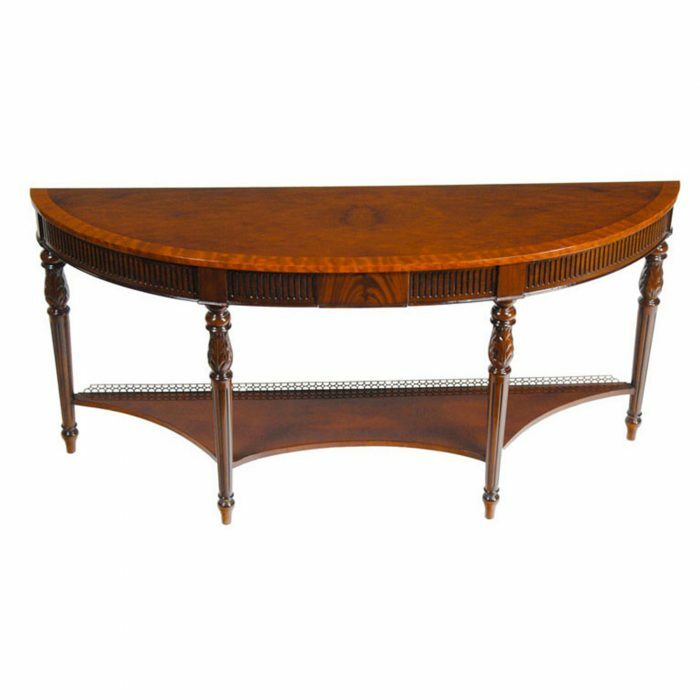 The entire design surrounded by a complex and elegant rim of banding around the rim of the console table. 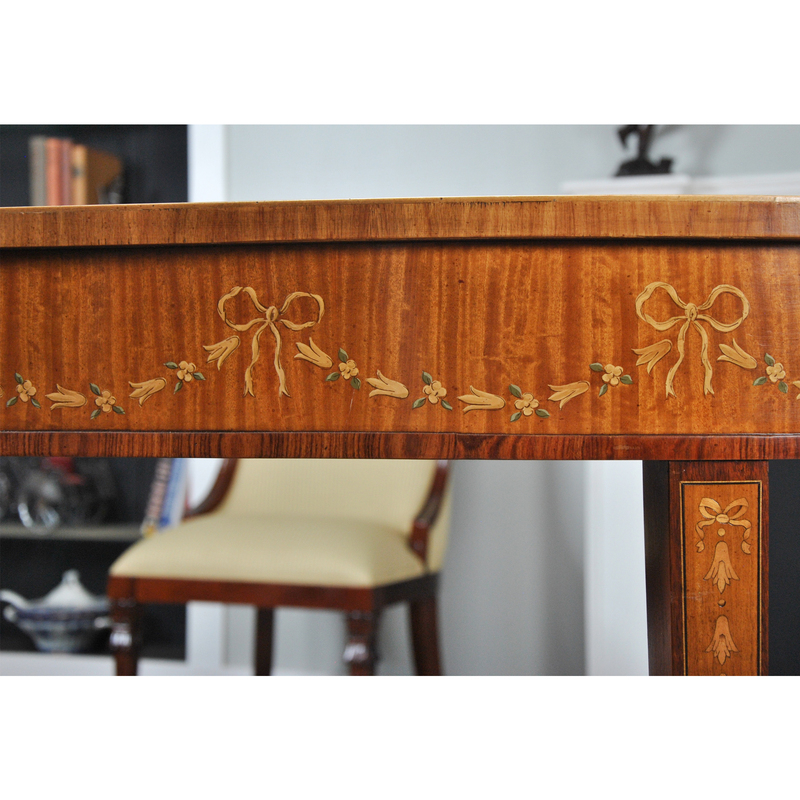 Below the table is a beautifully decorated apron or skirt which echoes the hand painted designs from the top of the console. 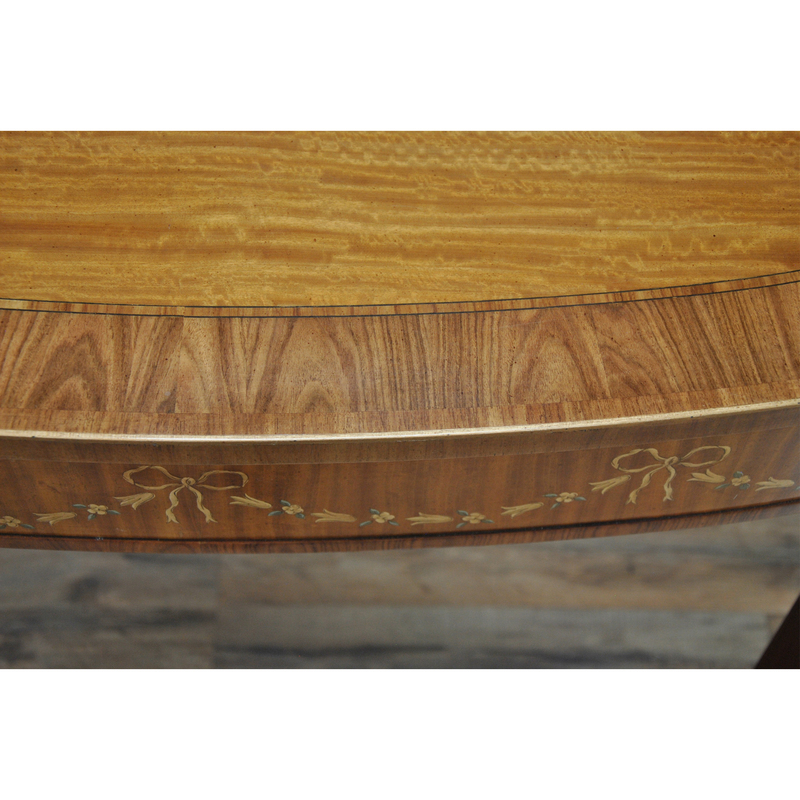 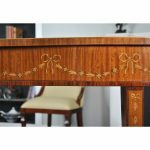 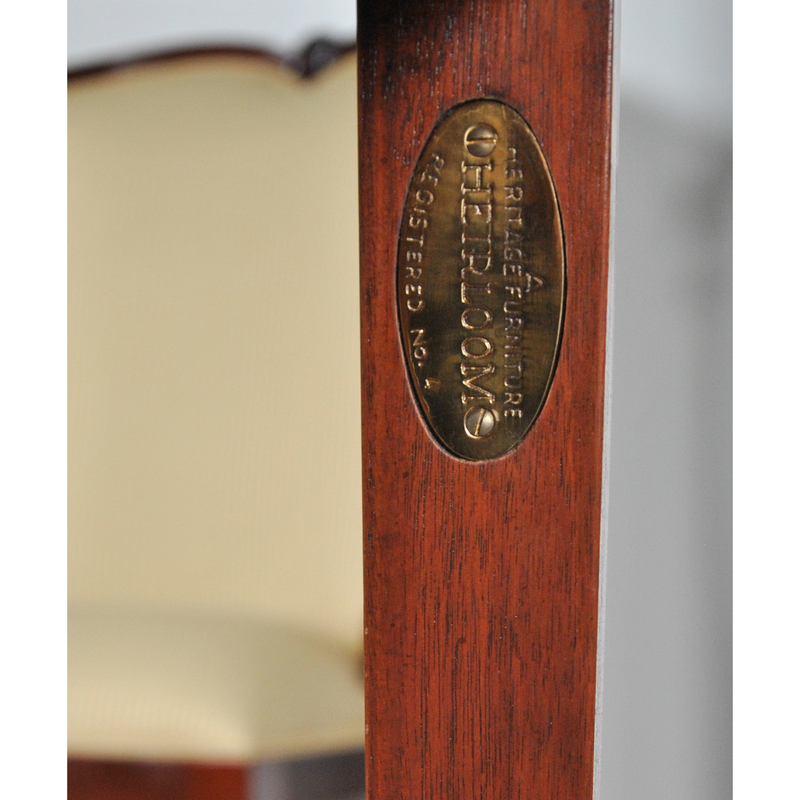 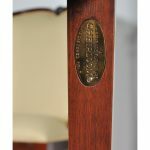 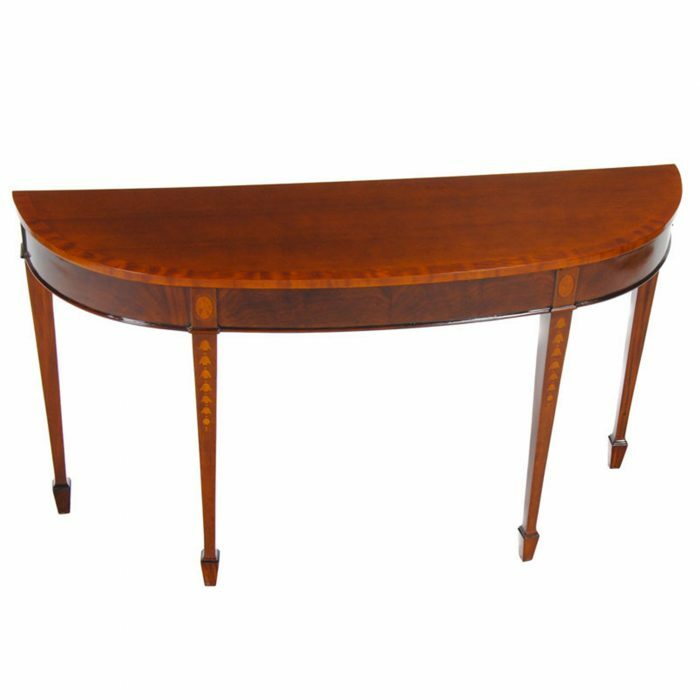 The Heritage Decorated Console Table rests on four fantastic, paint decorated and inlaid tapered legs, one of which retains the original brass inlaid manufacturers inset brass tag.